Recovering from withdrawal is one of the worst feelings in the world, but you have to push through. 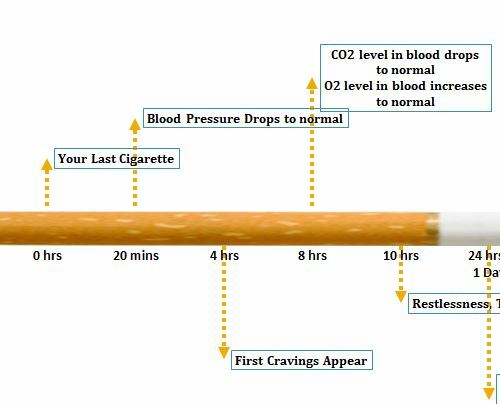 If you or a loved one is recovering from addiction to nicotine and you want to see how long it takes to reach certain milestones, then use the Nicotine Withdrawal TimeLine to see what’s ahead. You can even update the template to track your own personal journey. This sheet will keep you or your loved one motivated because you can see the light at the end of the tunnel. If you’re ready to try this free template today, just follow the guide below. To download the free template today, just follow the link below. Now, go to the “Data Table” tab at the bottom of your screen. Here, you will enter the most current data on withdrawal that’s available (The example should be current already). The template comes with this information; you need only change the data to fit your own journey. You can also display the length of time it took you to reach each milestone on the list. To fill out this section, enter the time, event, and the height (where you want the item to appear on your timeline) into the data table. When you finish entering these items, proceed to the “Chart” tab. You will see all the information you entered in the previous tab appear in this timeline. Just as stated above, the items of your list will be displayed in the order you set the heights. You can watch your journey unfold with this template. The free document serves as a guide to the tough road ahead, but you or your loved one can make it through. To try the free template, just follow the link below.